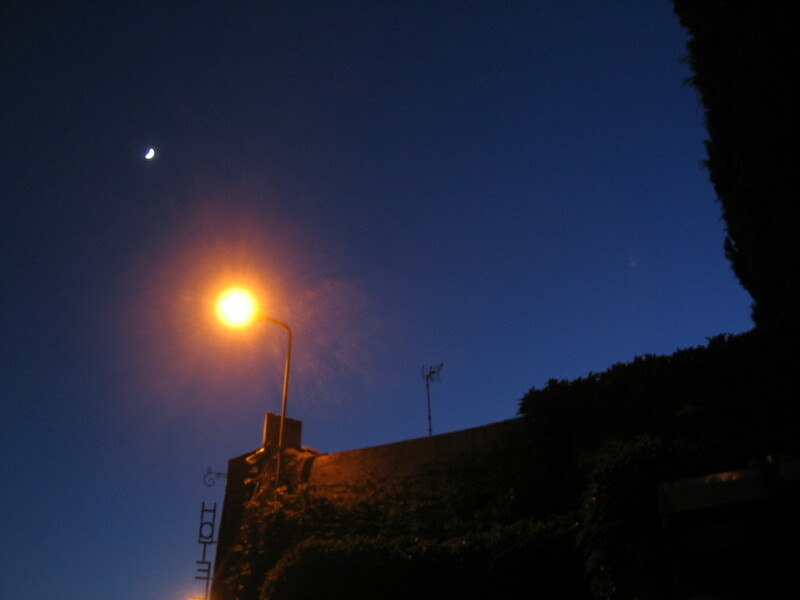 I covered quite a bit more ground till it got quite dusky. 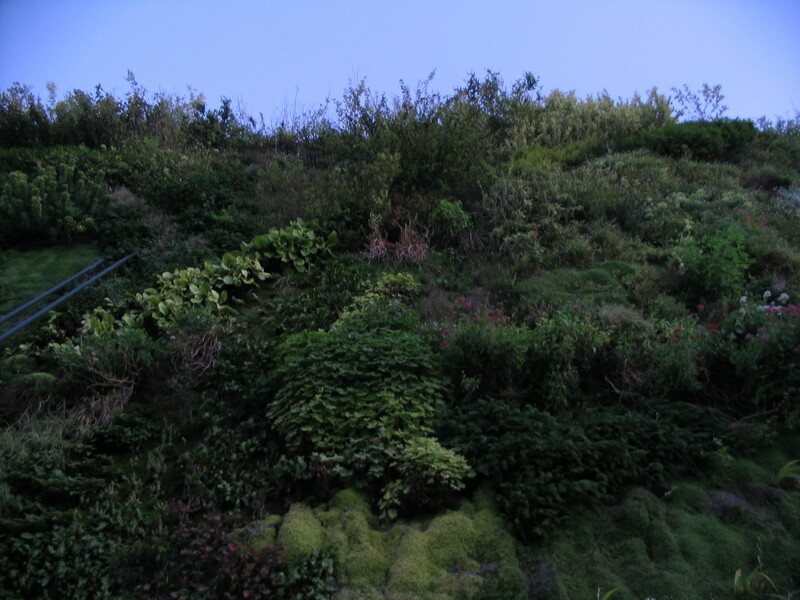 To my surprise, I found the end of the world in a park at the edge of the city. Psych! 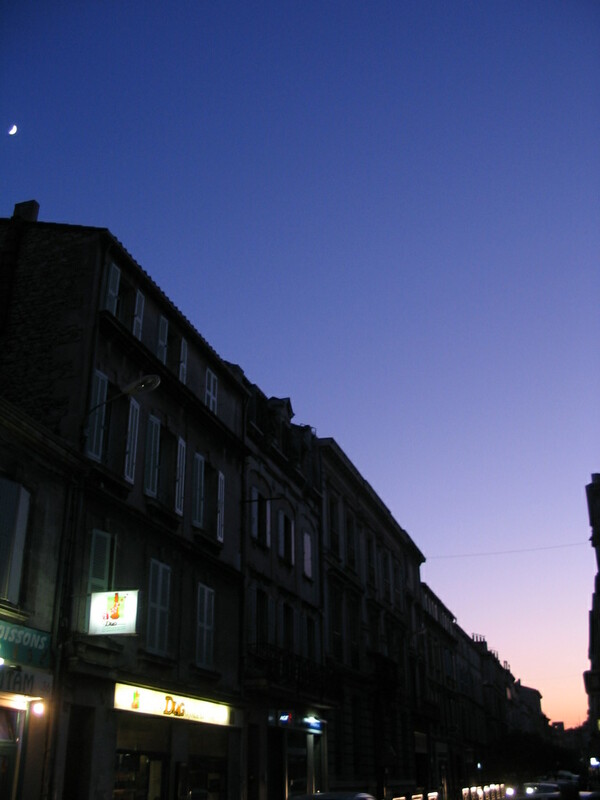 It's just Les Halles. 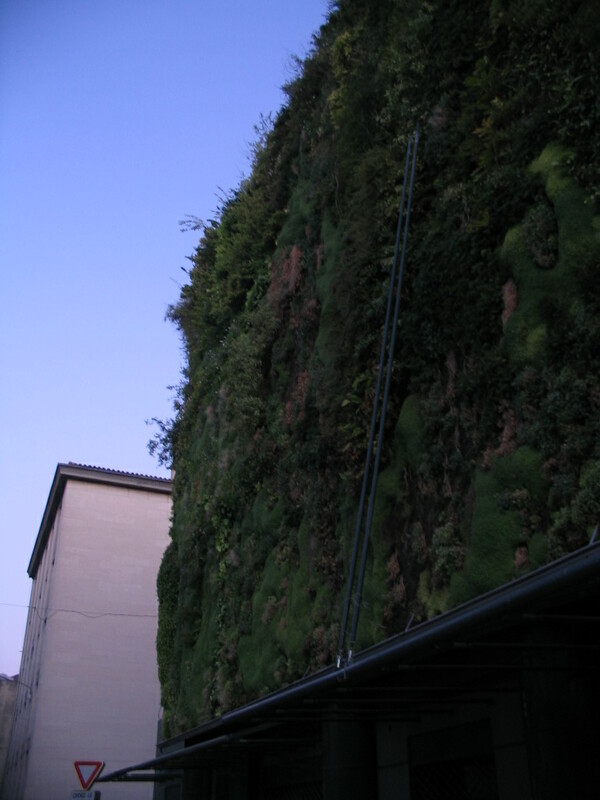 This was the first, and maybe still the only, such verdant multi-species green wall I'd seen. 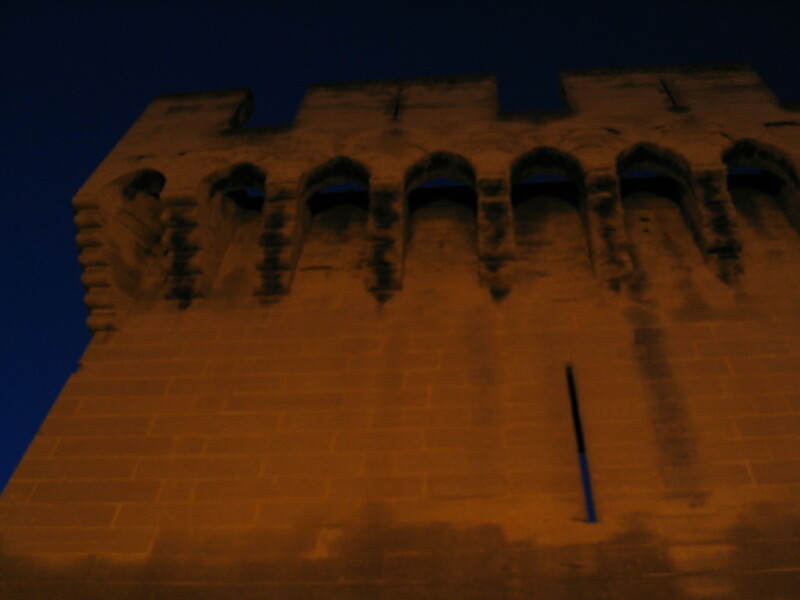 Across the Place Pie from Les Halles was this vivid window of the Conservatoire du Grand Avignon. 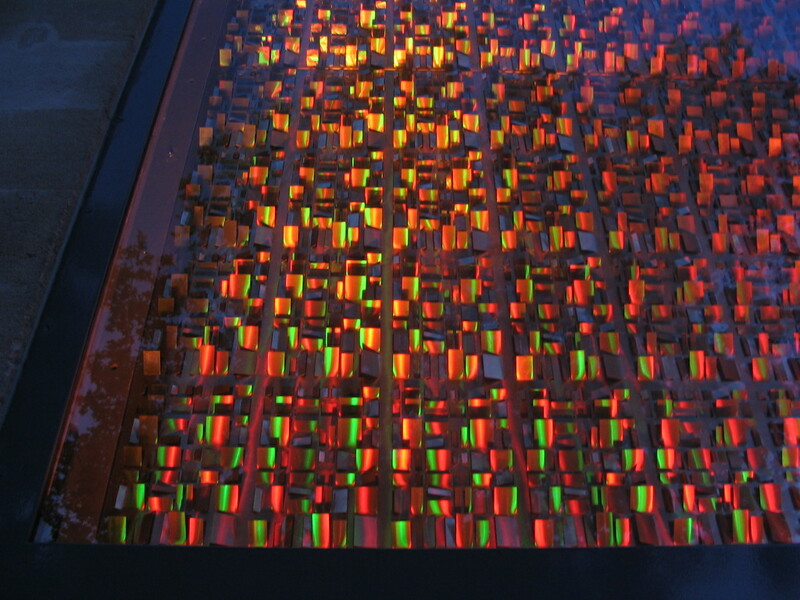 It's made of thousands of these CD-like refracting planes. Swag! 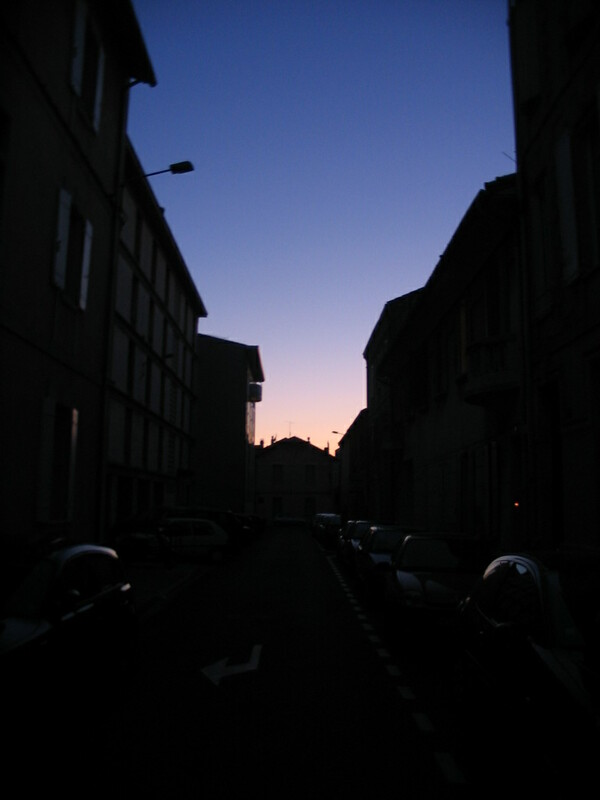 Then out to Rue Thiers, a primary street leading southeast to the edge of the old city; here, the street and the moon pointing toward the sunset. 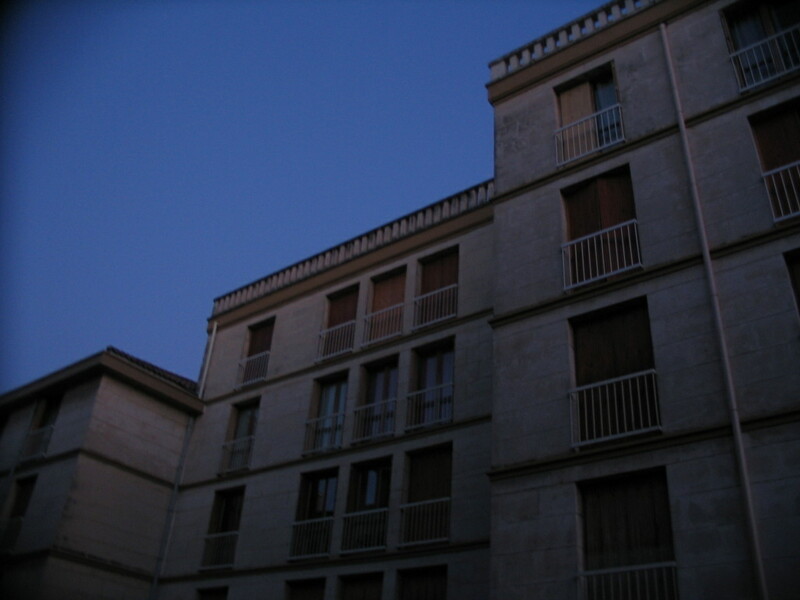 Quasi-modernist apartment buildings further out on Rue Thiers. 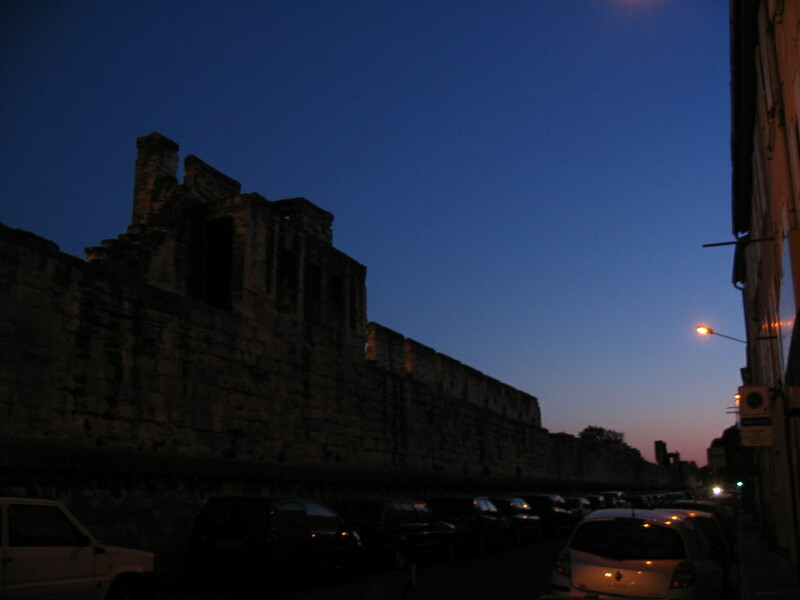 I reached the city walls, as see at left here, and walked clockwise along them to get back to the vicinity of the hotel. 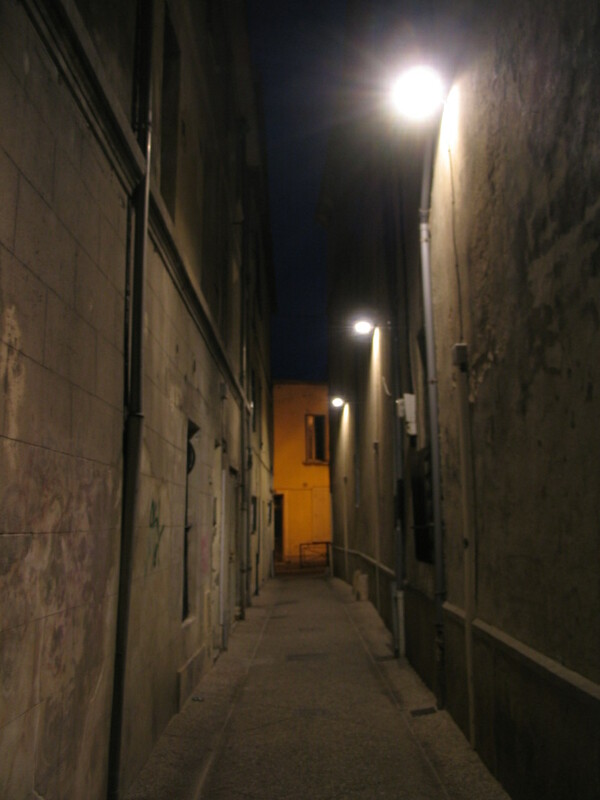 A wild section along Rue Ninon Vallin by Rue Tarasque. 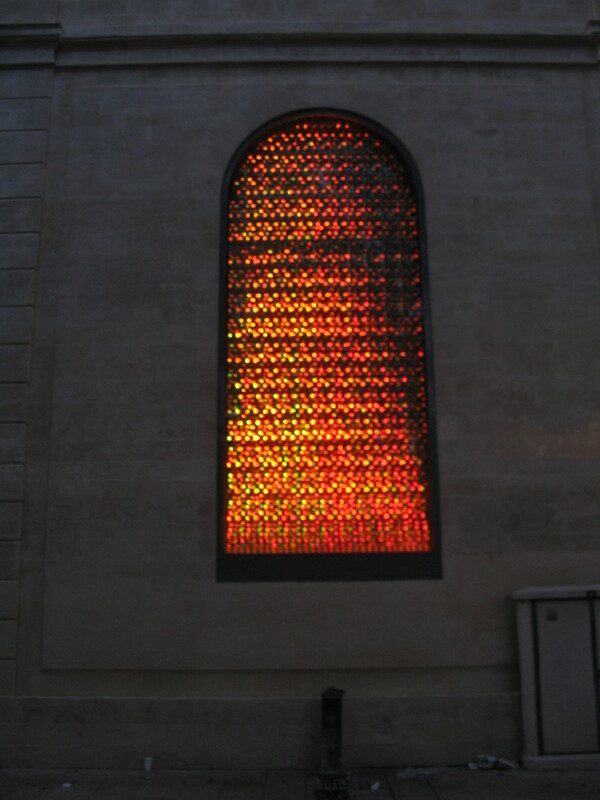 A selection of color temperatures. 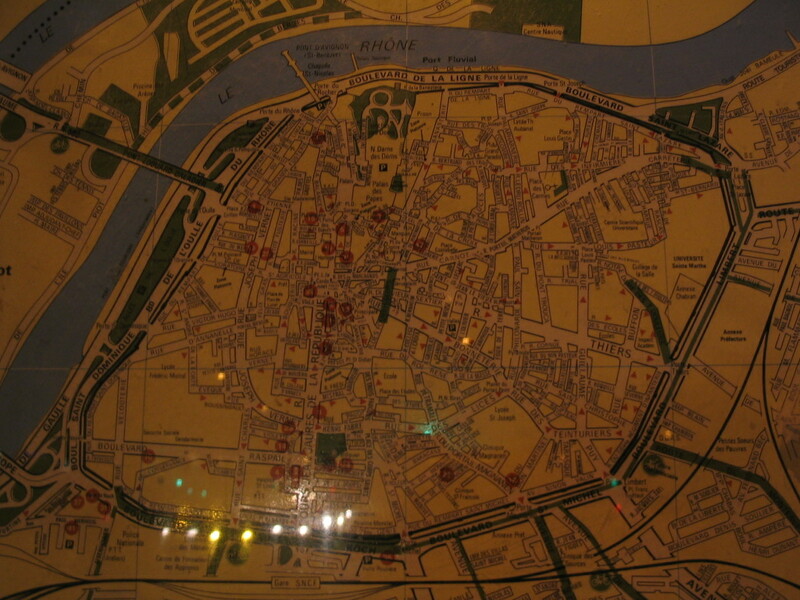 A useful map of Avignon, illuminated by headlights. I think this was at a point where I was outside the wall. Note the teensy bits of deep blue daylight thru the holes. 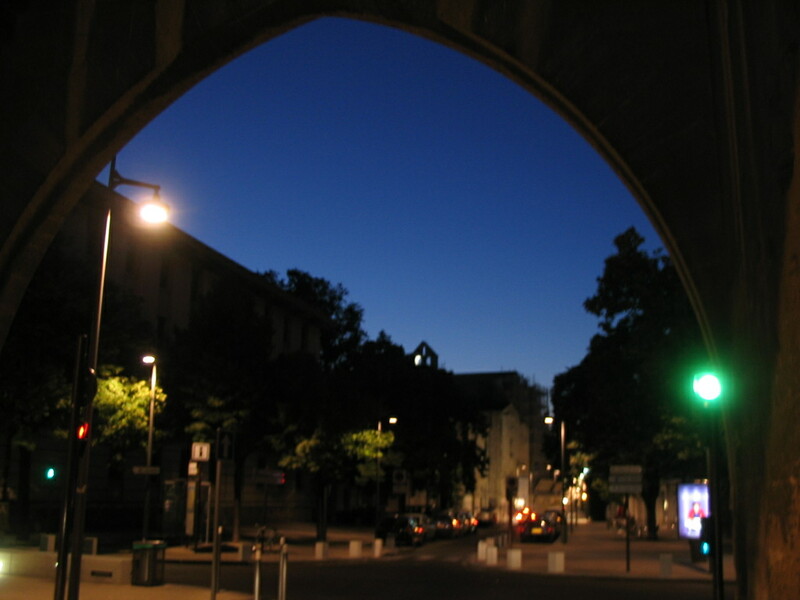 Reentering the old city at Rue Saint-Michel under a grandly arched gate. 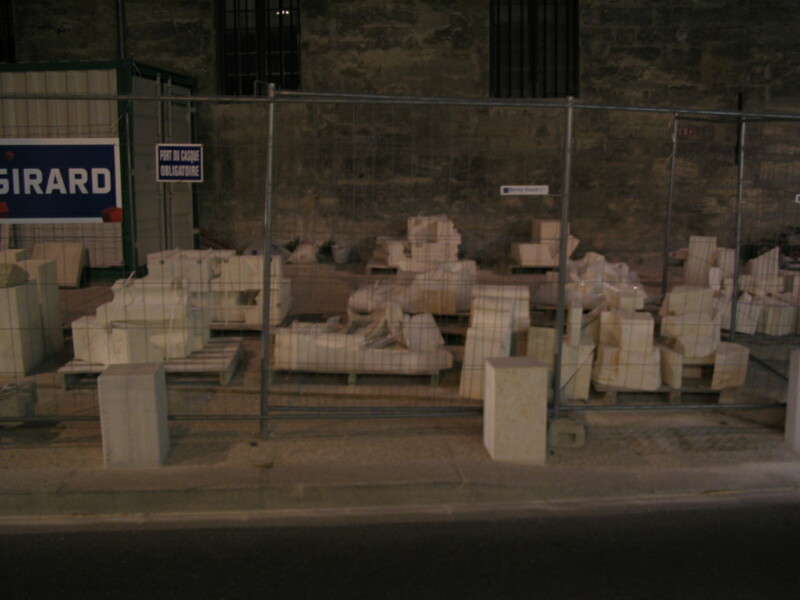 Just before arriving back at the hotel, I happened upon this collection of stone pieces for renovation of the Église des Célestins. 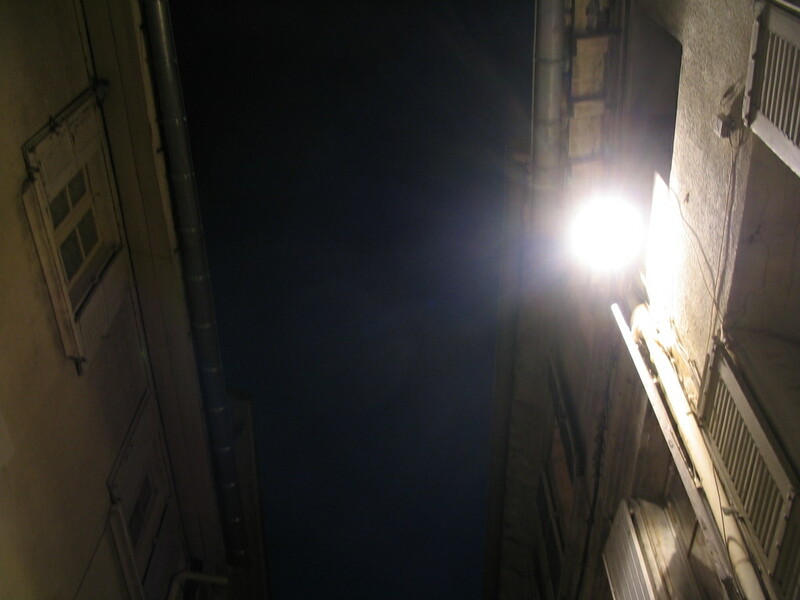 I always appreciate when narrow alleys and other such passages are brightly lit. 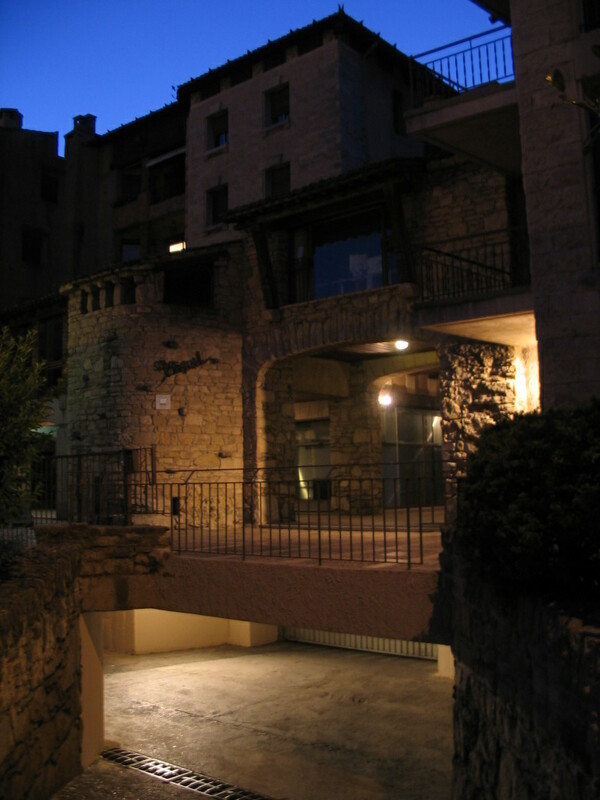 Also brightly lit was the hotel's slightly less narrow street. 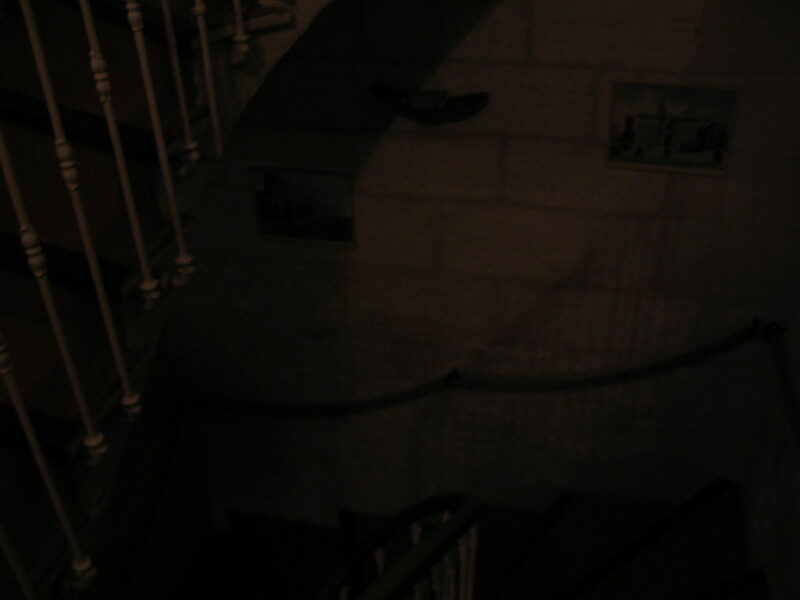 Back in for the night, up the winding stair. 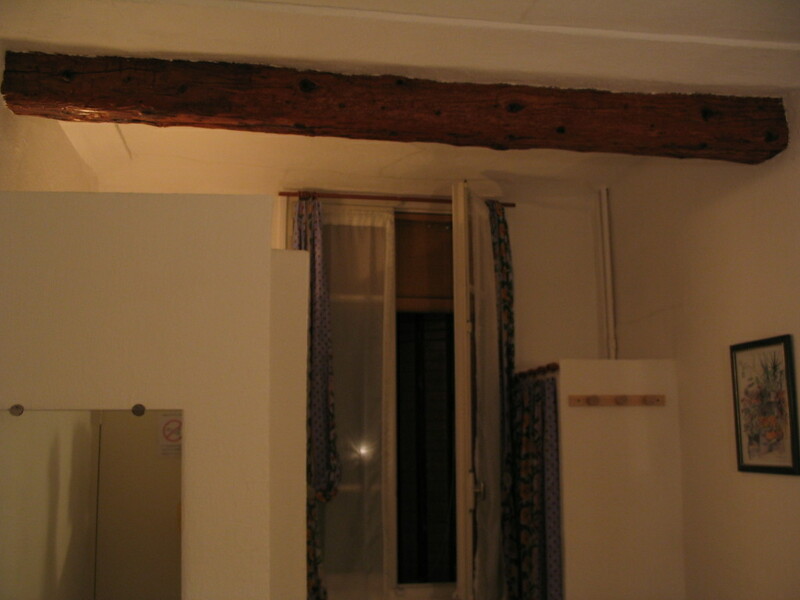 A most pleasant of rooms. 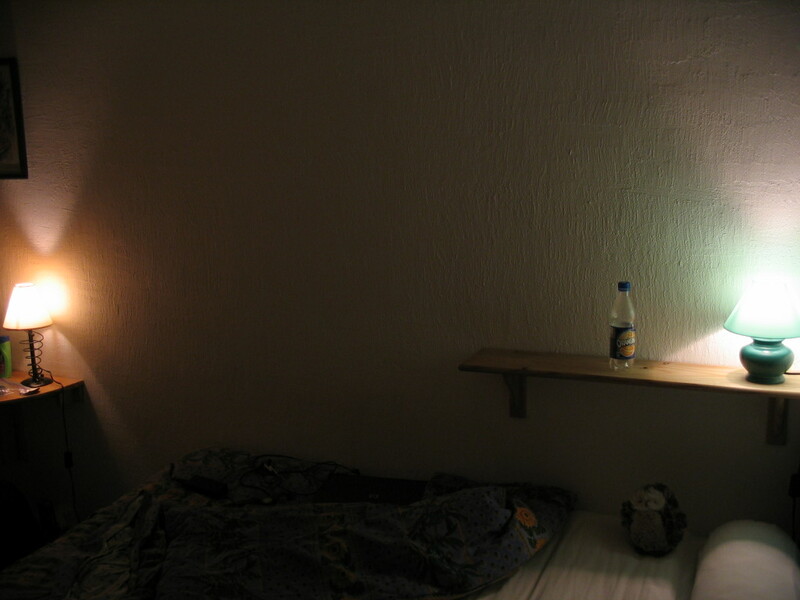 A selection of color temperatures flanking Pöllö. 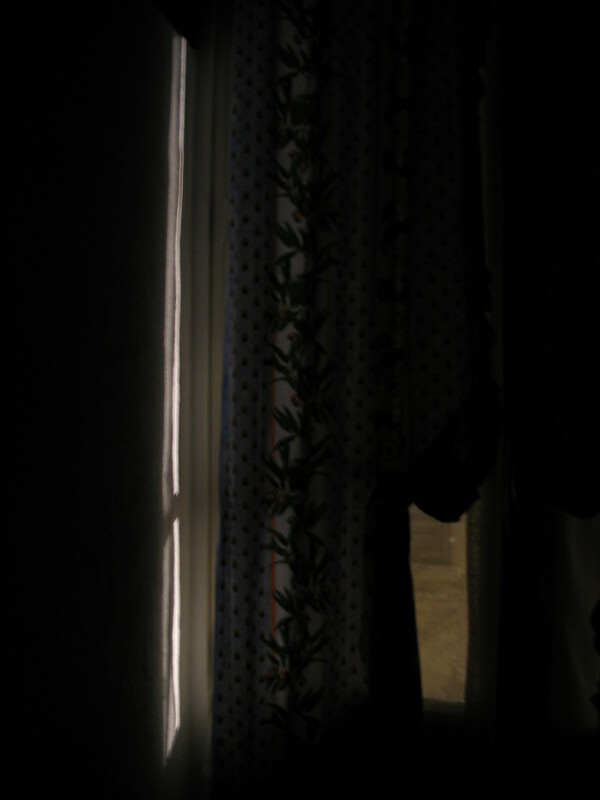 A bit of that bright street light getting through the curtain layers.